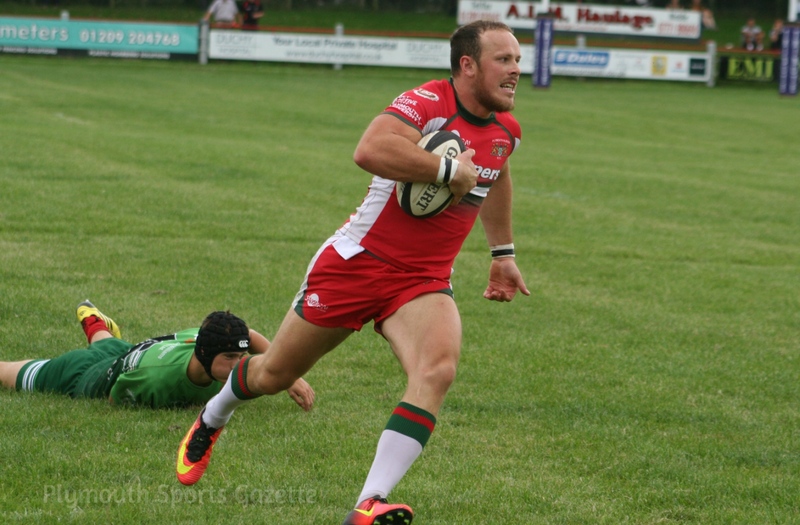 A TRY by Matt Crosscombe 12 minutes from time secured Plymouth Albion a narrow 19-15 away win over National Two South side Redruth in their final pre-season match. Albion, who start their National One campaign next Saturday against newly-promoted Cambridge, took an early lead at the Recreation Ground but failed to build on it. Redruth finished fourth in their league last season and they gave evidence that they could be pushing towards the top of National Two South again. Although they lost on Saturday they would probably have been the happier of the two sides, having pushed Plymouth so close. Albion had plenty of possession and territory second half but struggled to find ways to break their Cornish hosts down. Redruth did not give Albion any time of the ball, with some fierce tackling, and they defended the visitors’ dangerous driving mauls and set plays well. New Plymouth head coach Dan Parkes certainly has a few things to think about in terms of team selection ahead of their opening league encounter against Cambridge. 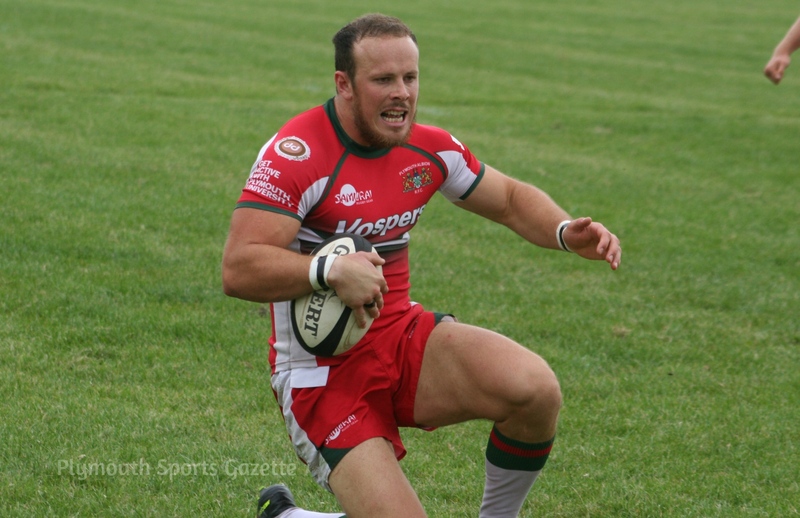 Albion, who included six former Redruth players in their squad, started strongly. They should have taken the lead from a drive in the first two minutes but the home side stopped it illegally in Hell Fire Corner and then Plymouth failed to make the penalty tell. But four minutes later they did open the scoring. Redruth messed up a line-out in their own half and Seti Raumakita, playing at flanker, gathered the ball and broke before off-loading to fellow back-rower Rupert Cooper to score. Player-coach Kieran Hallett added the conversion to put Albion 7-0 up. Redruth then had a really good spell, with the visitors giving away far too many penalties. It lead to Cooper picking up a yellow card. The home team, though, could not initially turn their pressure into points. But they eventually did get the try they threated when Cornwall centre Sam Parsons went over in the left corner after the Reds took advantage of a poor Albion line-out to attack. Fly-half James Huxtable brilliantly added the conversion. The match, played in hot conditions, struggled to flow, with the referee not helping matters. In the 38th minute, Redruth were reduced to 14 players when Lewis Vinnicombe was yellow carded. A minute later, former Reds player Robin Wedlake crossed in the left corner for Albion and Hallett did really well to add the conversion. However, there was still time for Redruth’s Huxtable to kick a penalty at the other end to make the half-time score 14-10. The Cornish side, who included former Plymouth forward Kyle Marriott in their starting line-up, made a great start to the second period with Parsons adding a second try after the Reds turned Albion over following a line-out. 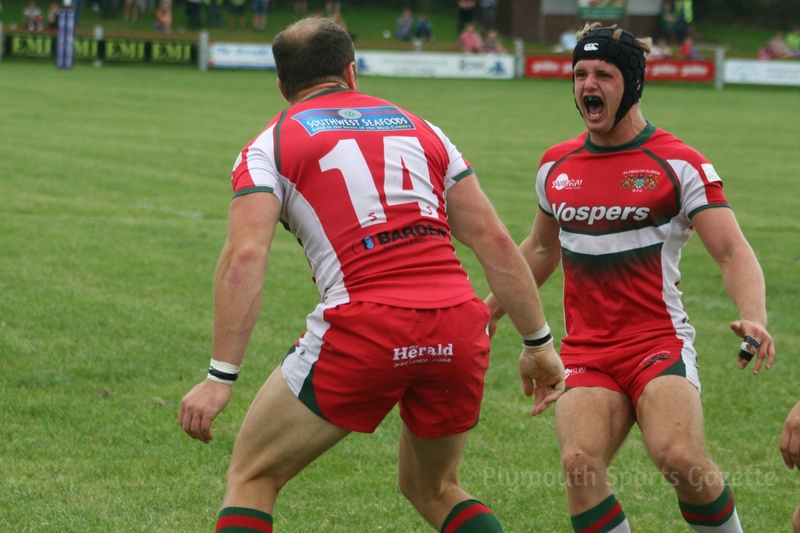 Only the woodwork denied Huxtable the extras, but the try had put Redruth one point in front. Albion, who looked more dangerous when Herbie Stupple came on, then won five penalties 10-metres from Redruth’s try line. On each occasion they opted for a scrum, but on the fifth one they were penalised. It was beginning to look like the Reds might hold on, but a poor kick clear allowed Albion to run the ball back and led to the powerful Crosscombe going over in the scoreboard corner. Redruth: Brett Rule, Lewis Vinnicombe, Nielson Webber, Sam Parsons (capt), Dean Bonds, James Huxtable, Jack Oulton, Tommy Phillips, Richard Brown, Craig Williams, Chris Fuca, Luke Hattam, Kyle Marriott, Mark Grubb, Barrie-John Chapman. Reps: Adam Wight, Matt Gidlow, Ashley Lawton, Dan Head, Sean Buzza, Tim Cava, Sam Stevens, Dan Rutter, Adam Hosking, Ethan Tyler, Luke Collins, Declan Matthew, Pale Nonu. Albion: Matt Shepherd, Matt Crosscombe, Dean Squire, Joe Simmonds, Robin Wedlake, Kieran Hallett, Clement Le Roy, Tom Cowan-Dickie, Jamie Salter, Billy Keast, Nile Dacres, Todd Prisk, Rupert Cooper, Seti Raumakita, Dan Williams. Reps: Rupert Freestone, Dan Pullinger, Jack Maunder, Sam Nixon, Dan Powell, Will Norton, Herbie Stupple.